She needs a name. What shall we name her? What a fun way to make the boring chore of grating cheese amusing! Leave it to Pylones, the innnovative French design firm, to create this charming little kitchen helper. 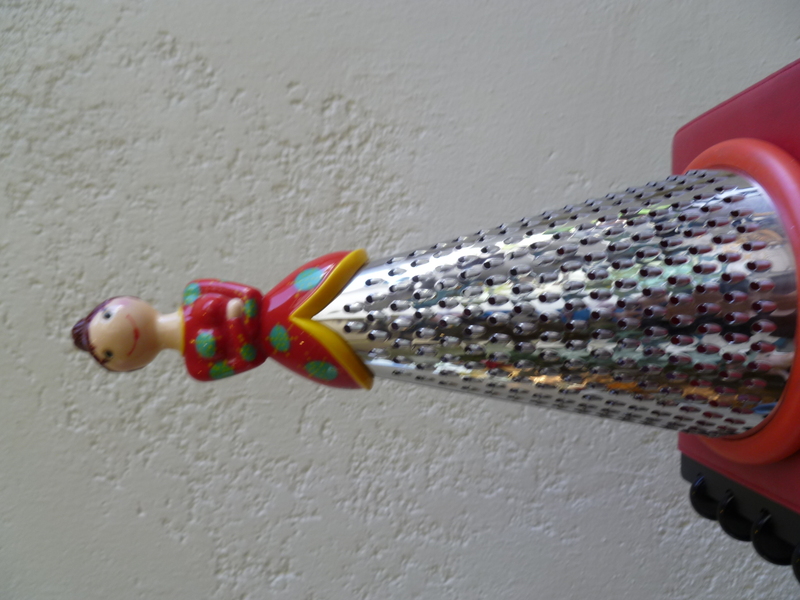 I found this grater at Red Pineapple in Ward Center ($35). Hey, guys, a word of caution: Do not, repeat do not, give the love of your life any gift that smacks of “Do this for me please…” That goes for kitchen appliances, irons, pancake griddles, vacuum cleaners, etc. Especially when it comes to Valentine’s Day gifts. 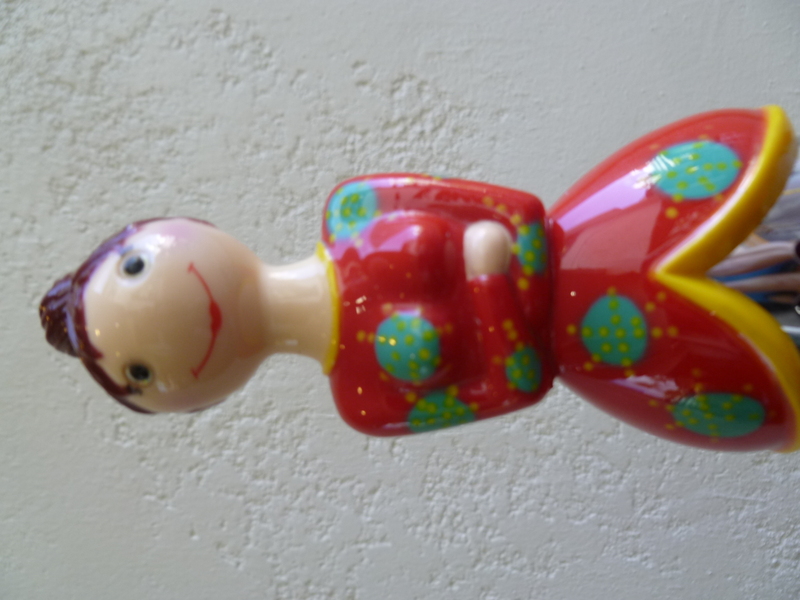 However there might be a waiver for whimsical items like this little kitchen buddy. This entry was posted in On Our Radar, Uncategorized and tagged Pylones, Red Pineapple, Ward Center. Bookmark the permalink. What a sweet find! I love rummaging through Red Pineapple, they are a really great place for knick knacks and omiyage.